Mitsubishi has revealed its new Outlander PHEV hybrid SUV last March at the 2018 Geneva Motor Show. It features a revised power train which finds its electric motors paired with a larger capacity 2.4-litre engine, a refurbished grille, new headlights, unique 18-inch alloy wheels and a bigger rear spoiler. You can also expect new leather upholstery for its interior, fresh front seats and air conditioning vents at the rear. Many things have changed ever since the original Mitsubishi Outlander was released back in 2013. There is now widespread use of 4K televisions in living rooms, voice recognition software installed, 3D printing which has replaced several manufacturing procedures and even Tesla’s electric car will be stepping out soon. 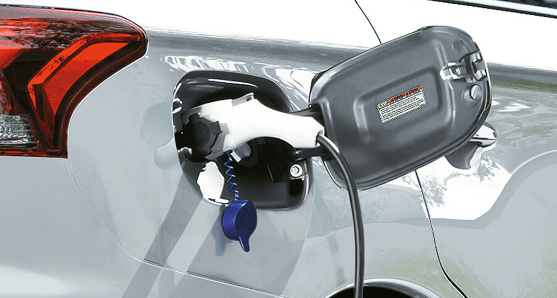 That is why it is quite unique to find only a few that can rival this plug-in car when it comes to the price, size and the technology it provides. The Mitsubishi Outlander is an excellent example of a family SUV that is capable of balancing its ability to run on electric power while charging its battery through a series hybrid mode and using a combination of these two when needed. This allows users to take on a short commute when going to school or work and switch to petrol motor when going on longer trips. You can only find the same kind of hybrid experience and big space from the expensive Range Rover Sports Hybrid, BMW X5 XDrive40e and Volvo XC90 T8 models. This fact alone is one of the main forces in driving up the amazing sales figures of the Japanese manufacturer which increased to 10,000 in the United Kingdom back in 2013 and to more than 100,000 units sold throughout Europe by 2017. Battery – Its new 13.8kWh battery provides the user with about 15% more capacity compared to its predecessor while its 66kW rear electric motor is 10% more powerful as well. Driving Modes – The Outlander’s all-wheel-drive system will also come with Snow and Sport modes which will accompany the existing 3WD and Normal Lock choices. Basically, the Sport mode will make the vehicle move much sharper while the Snow mode aims to provide more traction when on slippery surfaces. Engine – One of the biggest changes to this PHEV has been the upgrade from the 2.0litre- engine to the 2.4-litre Atkinson cycle unit which claims to provide higher torque, more efficiency and better operation. 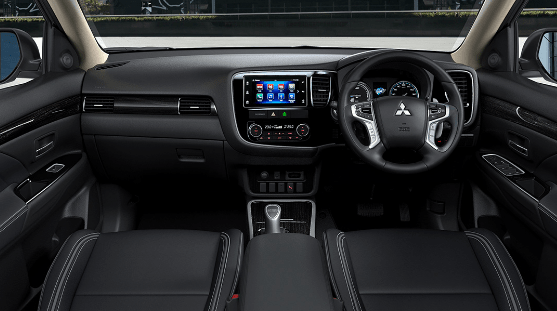 Interior – New quilted leather seats and switchgear should be expected with the new Mitsubishi Outlander. You may also find new air-conditioning controls, fresh instruments and refurbished air vents at the rear with the 2019 update. A lot of the oily parts that were known to be from its predecessor have been tweaked or replaced with the 2019 Mitsubishi Outlander PHEV. As mentioned earlier, it gets an upgrade to a 2.4-litre engine capacity while the rear electric motor has been switched to a stronger unit. The generator output has improved by 10%, its rear motor by an additional 10% and the drive battery by 15% overall. What this means is that one can expect a small improvement in the overall power capacity of the new Outlander, yet its electric battery still retains its 33-mile mark. This in turn means that the charging from a standard plug sock will take four hours to complete but when plugged to a 50kWh fast charger, will only take 25 minutes to accomplish. When the Mitsubishi Outlander 2019 model was being made, the Japanese manufacturer also decided to give its suspension system an overhaul while also integrating a nice glueing technique which will add rigidity to the chassis. Many people complained that its predecessor didn’t ride well and felt especially fat when driving into corners. With this minor update, there can be a tangible difference felt when driving this new model. The bumps and potholes on the road can be run over smoother than before and it is possible to drive a bit faster now without having to worry about your passengers being flustered when turning. A new ‘Sport’ button has also been introduced in its centre console, adding more weight to the steering while also enhancing the throttle response of the vehicle. Although there had been quite a few revisions with the new Outlander model, it is a bit disappointing to know that its infotainment system has not had an indepth overhaul. A couple of often cited complaints to this system is that it operates a lot slower than the systems found in rival vehicles and that its appearance looks cheaper compared to other hybrid models. The good news is that it is capable of supporting Apple CarPlay together with Android Auto, which is important since its navigation doesn’t come as an extra. It will, however, mean that iPhone users will have to put up with the usually unresponsive Apple Maps. 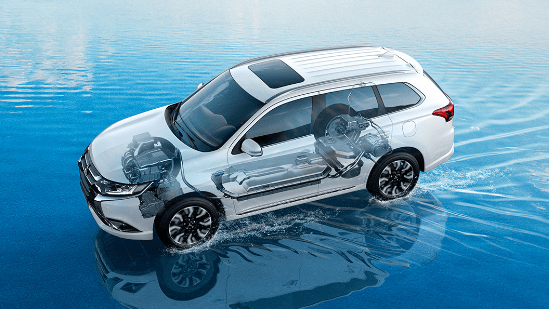 The updates and tweaks that were added to the new Mitsubishi Outlander PHEV 2019 model have improved several key areas which include being more comfortable, providing better performance and being able to operate in different weather conditions. 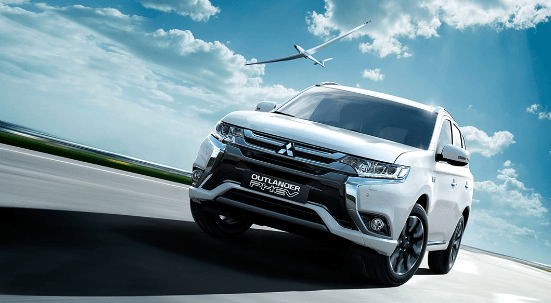 For users who usually take short journeys with the occasional longer, trips will find the Outlander PHEV to be a great money-saving vehicle that provides a lot of space for passengers and other items. But for company car owners that don’t care about plugging in and is familiar with the places they have to be, this vehicle will give them a good excuse to save on some tax money. For the overall PHEV review, the Japanese manufacturer Mitsubishi should be praised for putting together a plug-in hybrid that is worth its name. However, being able to improve its all-electric range can really make the Outlander PHEV an even better choice than others. The vehicle is also not a true environment-friendly choice so you may want to hold out for a true electric vehicle if you really want to contribute to the planet. For those of you interested in the new Mitsubishi Outlander PHEV hybrid SUV and want to take one for a test drive, the team at John Hughes have got you covered. Book a test drive today and experience the thrill of Mitsubishi driving with a touch of John Hughes class.